Our Online Memorial tool helps you create an enduring tribute to the life of your loved one. Capture your most cherished memories and share them with family and friends. Your own personalized website will be a reminder to all who visit that the life lived was treasured and will not be forgotten. Future generations will benefit from the information lovingly gathered and will have the opportunity to connect with those who have lived before them. 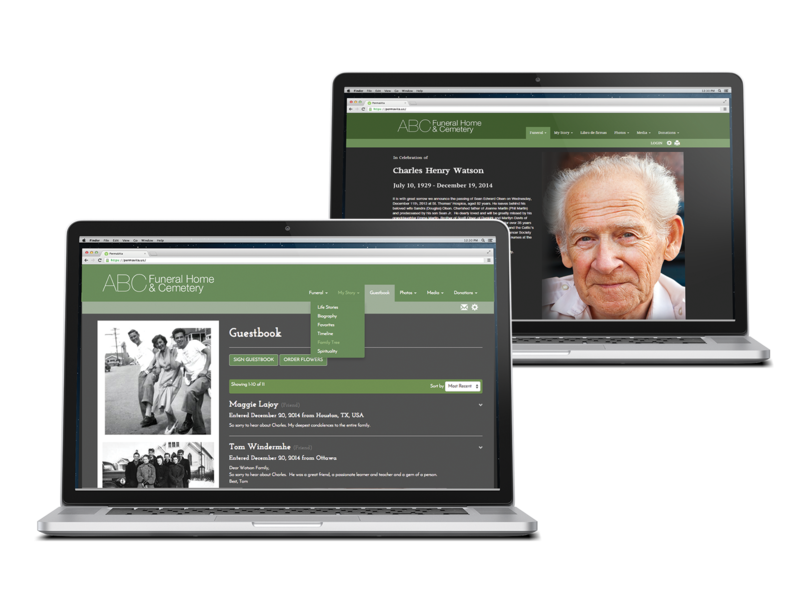 In just a few minutes you can create a complete memorial life story website with photos, videos, music, documents, stories, timelines and favorite memories of family and friends. No computer programming or website experience is needed and online Help and tutorials are available to assist you through the creation and editing of your site. You may customize your site to display preferred photos and color schemes, and display only the information that you want, in the manner you choose. Your celebration of life will always be available online to share with your family and friends. You can add, remove and edit all content as often as you like. Email fami- ly and friends directly from your site and invite them to share in the celebration. You can restrict access to your site to just you and selected family and friends, or choose to allow public access. The privacy of your site is completely determined by you. Share your life story with family and friends throughout the world in their preferred language. We continue to increase our multi-lingual capability to include everyone in the celebration. Allow your friends and family to sign a guestbook, share condolences and stories, and include their favorite photos, videos, stories and music to add to your celebra- tion of life. You moderate all content. We are sensitive to the importance of preserving your website exactly as you envision, and are committed to providing a viewing experience free of any form of advertising.